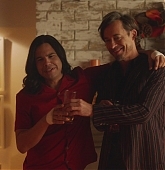 I’ve added screencaps from this week’s episode of The Flash to our gallery! The episode was a little light on Tom, since he was preparing for directing next week’s 100th episode! Check out the gallery link below to see the screencaps! Hello and welcome to Tom-Cavanagh.com. 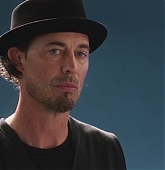 We strive to be your source for photos, news, and videos of Canadian treasure Tom Cavanagh! Please feel free to browse our gallery, as well as giving us a follow on Twitter and Instagram for future updates, as well as your daily dose of TomCav! Two brazenly inept thieves attempt to rob a bank without a plan, a clue-or a gun. Tom Cavanagh Network is an unofficial, not-for-profit fansite dedicated to Tom Cavanagh in the hopes of helping to promote his career. This site has no official affiliation with Tom or his agents - it is solely run by fans, for fans. 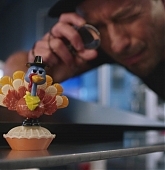 All original articles are written by the owners' of this site and graphics are the content generated by Tom Cavanagh Network fans (unless stated otherwise). All pictures, scans, screencaps, and other media are copyrighted to their original owners. This site is non-profit and is in no way trying to infringe on the copyrights or businesses of any of the entities presented. All content posted up on this site is used under the Fair Use Copyright Law 107. All photos are copyrighted to their original owners. If you would like something removed please contact me.